First published in 1927. John Macdonald (1741-96) was born, and died, a Scottish Highlander. 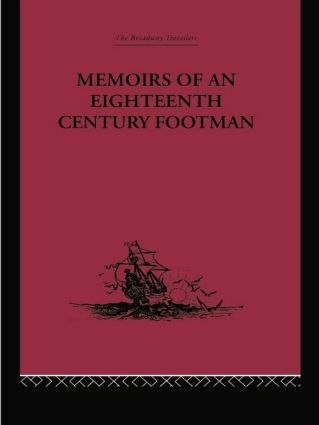 First published at the time of the French Revolution, these memoirs of his days in service provide a rich panorama of life in the company of blind fiddlers, maid-servants, the Scottish aristocracy, soldiers, historians, Oriental Princes, servants of the East India Company and men of great wealth, including James Coutts the banker. In 1768 - as the result of an errand - it fell to Macdonald to witness the death of Laurence Sterne.